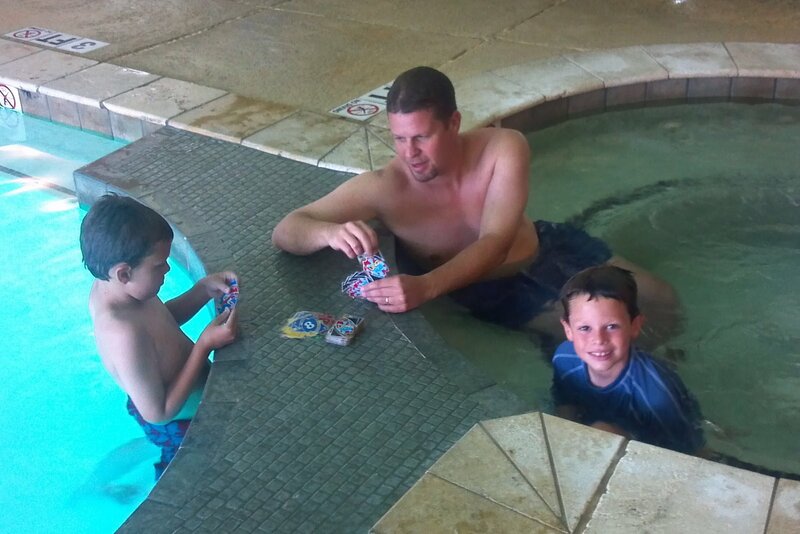 Thomas finally gets to use his waterproof Uno game! Charles and Thomas are back from their fun-filled week at camp. By all accounts they had a great time and were at no time homesick for Houston. Charles won the “Leave No Trace” award for always picking up his clothes and making his bed every morning without being asked. Thomas won the “Ironman” award for having the strongest faith. The boys and I get to go back in July for an overnight so that they can show me all the fun stuff they did (sorry mom… guys only).